People think Russia is all about cold and winter, but actually, when spring comes, it is the Best Time To Visit Russia when everywhere is humid and fuzzy. It marks the time when winter has passed and everything comes back to live again. Flower embark their leaves, animals awaken from their long sleep, and people are getting ready to go back plugging the farm. However, it is also the time when ice and snow melt and makes the street slippery, the wind blows just too much wind toward people and the weather change can swift from mild rain to sudden bright sunlight. Spring in Russia coma around the beginning of March and ended at the end of May. There are many things going on in Russia that wort seeing, even if getting it is a bit muddy. Here are things that Spring offers for the traveler in spring. There are fireworks, parades, and abundance of traditional authentic Russian cuisine pass on through the street. It depicted a very colorful Spring Events You Have To Know And Watch In Russia. You can visit various festivals that rooted back in Russian history. Maslenitsa or “Butter Week” is the most interesting festivals of them all. Russian people like together and have nice drinks and food. And festivals really represent that friendly approach to tourists. Orthodox Easter. The number of Orthodox people in Russia is surprisingly is quite high. However, although there may not be as much as an orthodox believer now, the tradition relating to the even is already cultural, Therefore, it is one of the most important events to see for those who are interested in religion. The Golden Mask TheaterIt is artistic festivals that cover various genre from classical dramatic theater to the modern puppet show. It is a great event to also familiarising yourself with Russian theater that is known to the world. Victory DayA celebration to commemorate the end of World War II. It mostly highlights the Russian soldier parade in the Red Square of Kremlin. There will be fireworks, parades and the various display of the military equipment. There are many more festivities that take place in Springtime. That is why watch out for the dates, spring is coming and you need to come and visit Russia in that particular season. People usually do not consider spring as the time to enjoy what Russia has to offer. But any long term traveler also familiar with the fact that the best way to travel is to avoid any overcrowded in one place. The not so common time to visit and experience the Things Russian Love To Do In spring Time which also means fewer queries in just about anything. So, if you are more of a reverse type that this spring comes and book a flight in Spring. There are many things that the Russian can offer even when it has fallen to some heartwarming events. When coming to anywhere, not in the tourist season, like springtime there are bound to be cheaper prizes in just about anything. This is a great time to travel to Russia is you are traveling in a budget and want to save up money. So coming in spring is one of the Tips To Do Cheap Travelling In Russia. Aside you can stretch a budget, you can also experience nice weather with the right preparation. There are many places to taste the authentic Russian food that once in a while a special menu. This happens because there is an ingredient that only blooms before it is too late. The unique Russian soil, makes seasonal vegetables and fruit become the most seek ingredient when spring comes. It is the best time to taste the Famous Spring Foods In Russia that only come out during this period of time. There is some really authentic flavor that only comes once in a blue moon. Festivals food during Spring time includes blini, pancake, Beet Soup, and many other Russian dishes from the seasonal vegetables in spring. Russia is a very huge country, while the temperature is mostly cold but during springtime, it becomes warmer. There is part of Russia that experience Spring earlier like Sochi or Novorossiysk. So make sure to check out the dates and see which part of Russia still experience springtime. You can see mountains, rivers, lakes or even just hanging out at the local park to appreciate the Russian spring. There are a lot of places to visit if you are a nature fan and feeling quite adventurous to seek some Mysterious Natural Wonders In Russia that will make anyone curious. Spring is coming! pack up your bag and travel to Russia. 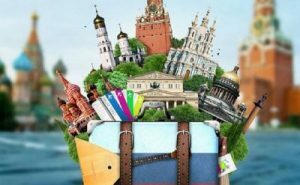 You can manage a short Packing List For trip To Russia In Blooming Spring Time due to the nice weather when it is not too hot and not too cold. make sure to pick up light and only bring the essential. The warm weather also makes it easier to move around in a light backpack. Walking around in the big cities or hiking and experience Russian nature all can be done in great comfort due to the supporting weather. However, in some part the weather probably is unpredictable, so bring some warm clothes and prepare to experience either rains or shine. As long as you see it coming, traveling during spring will not be depressing. Since there is always the chance of sudden rain, then pay close attention to the weather forecast. it gives you more preparation to plan your days. If it is going to rain, then take full advantages of experiencing indoor activities. Roaming the beautiful Metro station is an option, visiting gallery and museum is also quite interesting or try your luck to various universities and bookstore that depict a real life of Russian people. There are many things to experience in springtime. There is a little bit of everything that fits just any travel style. You can experience life like the common Russian, enjoying the scenery or staying indoors away from the unpredictable weather. Spring is a low season where there is not many tourist around and prices are cheaper. So, book the next flight to Russia in spring and embrace the weather like a true Russia.